As predicted, the breakaway just about hung on to win Stage 8. 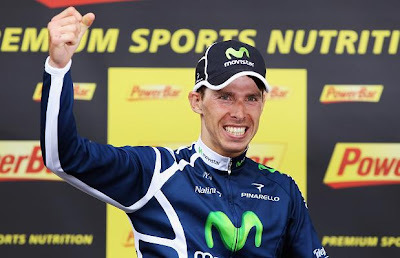 Rui Costa, Tejay van Garderen, Christophe Riblon and Cyril Gautier all spent plenty of time out the front, but in the end, it was only the Portuguese rider from Movistar, Rui Costa, who was able to stay away and claim his first ever stage win on the Tour de France. Behind him, there was an excellent fight going on with riders attacking and counter-attacking, yet still struggling and fighting hard up the hill. 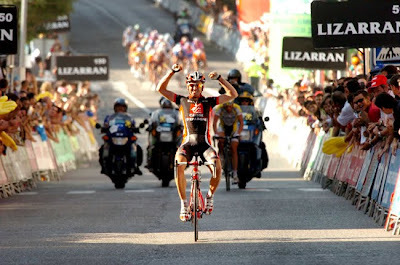 In the end, Philippe Gilbert went away to grab second place with Cadel Evans getting another podium finish. Robert Gesink was the only one of the leading contenders to lose time on the stage after struggling on the final climb. Stage 9 is a similar stage and again there is a decent chance that the breakaway could succeed. The riders leave from Issoire and climb three category two climbs – the Col du Pas de Peyrol, the Col de Perthus and the Col de Prat de Bouc. There are also three category three climbs and two category four climbs. The bookmakers make Philippe Gilbert the favourite to win the stage (best price of 6/1 with Paddy Power). If he is up there come the finish, he is likely to have the best sprint finish, but whether he will be able to hang on through all the hills remains to be seen. Either way, at these odds, there is no value in backing the Belgian. Behind him come the likes of Edvald Boasson Hagen, Thor Hushovd and Jose Joaquin Rojas – the sprinters that can climb. Clearly, if there are any of these names in the leading group come the finish, they will have the advantage when going for the stage win. However, it will require a great deal of effort and hard work by their teams if they are to be in this position. If the breakaway is caught before the end of the race, it opens up the possibility of a second attack. In this case, the common puncheurs, such as Alexandre Vinokourov, who we saw going for the stage win today, and Thomas Voeckler up there with the favourites. However, as I mentioned, again I feel that a breakaway could win this stage, so it becomes a matter of trying to predict who might be in the breakaway. As we saw today, there will doubtless be at least one Frenchman, so the likes of Jerome Pineau, David Moncoutie and Sandy Casar come into the reckoning again. 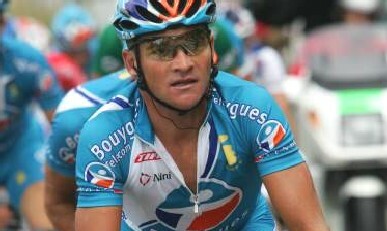 Similarly, Thomas Voeckler might try to go away in the key break as well. Outside the Frenchmen, we have the likes of Egoi Martinez, Sylvain Chavanel, David Arroyo and Sergio Paulinho that might fancy their chances. Also, Team Sky have come out and said that they will now be targeting stage wins, so there might be a chance that someone like Flecha or Uran might go out in the breakaway now Wiggins is out of the Tour.